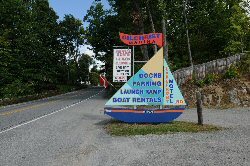 Lake George Boat Tours, LLC is moored at Gilchrist Marina 4 miles from Lake George village. 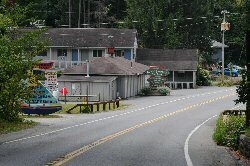 Lake George Village - Go north on Rte. 9N 4 miles. 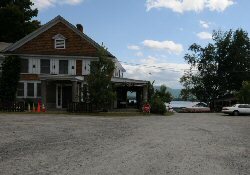 Lake George Boat Tours, LLC at Gilchrist Marina is on your right. Route 87, exit 22 - Go north on Rte. 9N 3.5 miles. Lake George Boat Tours, LLC at Gilchrist Marina is on your right. Route 87 exit 23 - Go left at end of ramp onto Diamond Point Rd. Follow Diamond Point road to it's end, approx. 4 miles. At end of road turn right onto Rte. 9N (Lake Shore Drive). Lake George Boat Tours, LLC at Gilchrist Marina is on your left. From Bolton Landing Center - Go south on Rte. 9N approximately 6 miles. Lake George Boat Tours, LLC at Gilchrist Marina is on your left. At the marina attendants will help you park your vehicle(s) and direct you to the dock. 1st vehicle is free, additional vehicles are $10.00 each.